Mass Historia | Sharing the stuff Walter Nelson finds interesting. I (Walter Nelson) am undertaking a new project, which is a bit of a departure. At this moment there is no "vintage dance" in the San Fernando Valley. There's barely any Swing dancing. I will try to do a little bit to remedy that. The "Dancing in the Valley" project will involve recurring, inexpensive, informal vintage dance gatherings here in my neighborhood. I understand that much of Southern California regards the Valley as a sort of Siberia - a distant, strange and inaccessible land, so I have, with the generous support of the Episcopal Church of Saint-Martin-in-the-Fields and Vicar Gabriel Ferrer (son of Jose Ferrer BTW), set up a program that does not depend on huge numbers to cover the costs. I have also chosen a time that works for the Church and also competes with very few other programs - Sunday evening 6-9 PM. 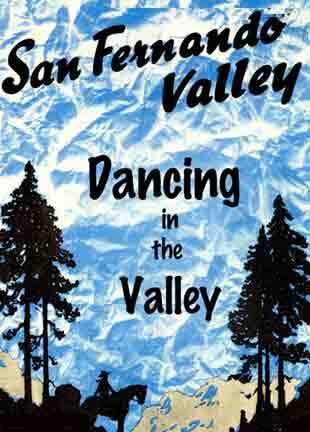 For Valley residents, it is conveniently close and for those from other areas, you can brave the less-bad-than-most-times Sunday afternoon traffic, dine at one of our inexpensive local establishments, and then partake of free and convenient parking with a low-key, friendly evening of dance and socializing. It then ends in time for folks with jobs to get home and get to bed. Each event, happening more or less once a month, will have a different theme. The first will focus on dancing in Weimar Berlin in the '20s and '30s. Future ones will mostly be Jazz Age, but I reserve the option to divert into other eras, from the Regency to Victorian to Ragtime, depending on my mood and the level of demand. The first hour will be instruction, with the following two hours dancing to recorded music with yours truly as the DJ. If we start getting sufficient numbers, we can hire some live music. I hope to see you soon here, in the San Fernando Valley, my home (cue Bing Crosby). I have posted this to the web to assist my friend, Steve Lund, who is one of the authors of this detailed guidebook for making working models of Civil War ironclads. Editor's note: I post this to address questions I have received from time to time about the topic. Unlike much of what I post, I do not advocate its return. I think this a bad custom, and am delighted that it has fallen into disuse. The annoyance of having an already brief dance cut short, its tendency to add further evidence of popularity to a few and lack of it to many more, and the fact that the lady has no option of refusing make it entirely obnoxious. However, for purposes of education here it is. From "Modern Ballroom Dancing" by Lillian Ray, 1930. Program dances have gone out almost entirely. Cutting in during dances has become a recognized practice. The man who wishes to cut in taps the girl's partner on the shoulder quietly. The dancer must relinquish his partner courteously and cheerfully. The girl has no choice in the matter. The custom has its drawbacks as it is often annoying to leave a partner whom you particularly like, to dance with one for whom you may not care in the least. However, it is not good form to refuse to dance with a man who cuts in. Nor can the first partner of the girl cut in on the man who took her from him. He can cut in on her next partner though. A man must not continue to cut in on the same man when he dances with another partner. For example if John Bart cuts in on Harry Gray when the latter is dancing with Janet Stone, John cannot cut in on Harry when he dances with Helen Barclay. If he did so, Harry would think, and rightly, that John was deliberately trying to spoil his evening and take all his partners from him. No matter how beautiful or brilliant a girl may be, the reputation of not being frequently cut in on makes her position at a dance unfortunate. Perhaps boys prefer her company to that of the butterflies with whom they dance a dozen times an evening, but youth in this jazz-nourished generation is temperamentally restless, and the idea of fox-trotting more than one full fox trot with the same girl is distasteful, not to say odious. When it comes to several dances and the intermissions between she can be quite sure that a young man, once relieved, will never tread on her wayward toes again. Extracted verbatim from "Modern Ballroom Dancing" by Lillian Ray. Franklin Publishing Company, 1930. No MODERN book on ballroom dancing would be complete without including a few Collegiate Steps for the younger generation. These hopping and jumping steps are lively if not dignified. They reflect the brisk tempo of young America. They will be seen more often at fraternity dances and Village night clubs than in the ballrooms of the more pretentious and formal hotels and country clubs. But these Collegiate Steps are too much a part of present day dancing to be shunned as stepchildren. All the steps detailed in the following pages should be danced with plenty of pep and abandon. They are, after all, to be used in a spirit of fun. Even the starting position for the Collegiate Steps is less formal than that for the older and more dignified dances. The collegiates affect a crooked elbow and a closer hold than their elders. Figure shows the position for the Collegiate Walk, which is similar to the Fox Trot but sharper and snappier. 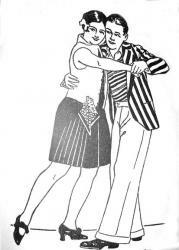 This post has been prompted by multiple comments on videos I have put on YouTube of social dancers from the 1930s - comments like a dance that was clearly identified as a Fox Trot at the time was not, in fact a Foxtrot; and the Tangos in a 1931 Argentine movie called "Tango", were not "real" Tango. This sort of thing makes me a bit grumpy. There is a strong tendency for dancers to define the "correct" or "real" style of a dance as "The style I was taught". If I have learned nothing else in my years of delving into the primary sources for 19th & 20th Century social dances, it's that when a dance is widely popular and danced over a period of many years by people all over the globe; there will be infinite variety. Even if some self-appointed "experts" (I'm looking at you Arthur Murray) may call one thing "correct" and another "incorrect", what indeed is the "correct" way to dance a dance? 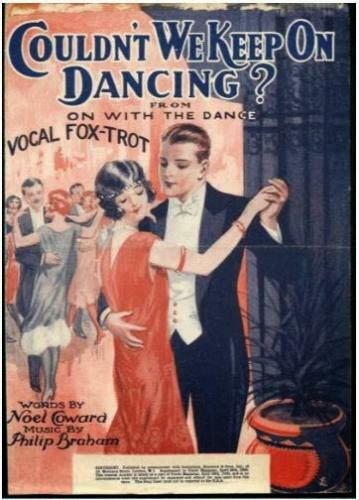 It is really one of my pet peeves in trying to recreate the dances of the Jazz Age is our tendency to extrapolate how we dance today into the past: to say "I know the Foxtrot, so this must be how it was done in 1930" or to say "The Tango is eternal and never changing". I want to be clear that I am not condemning current dance styles. They are a reflection of our current interests and sensibilities - just as the dances of the Jazz Age reflected that era's very different interests and sensibilities. Societies evolve and dances evolve with them, and all that I ask is that we try not to superimpose our current view of things on the past. I will use the Argentine Tango as an illustration of my point, but the same evolution has occurred with the other current ballroom dances: the Foxtrot, Waltz and Quickstep. One of the biggest differences between then and now is our current blending of theatrical "exhibition dancing" and social dancing - current social dancing tends to be an almost apologetically watered down version of the exhibition style, but containing as many fancy moves as one can muster. Back in the day, social dancing was a simpler affair, with a focus on partner interaction and very little on outward display, and exhibition dancing was a distinctly different style with a completely different purpose. There was a clear and conscious separation of "Exhibition Dancing" (think Fred and Ginger) and "Ballroom (i.e. Social) Dancing". If you look at a film of the Coconut Grove in 1938, no one is trying to dance like Fred Astaire. Which is why I find this first clip so interesting. Carlos Gardel (the King of the Tango) is dancing and everyone stops dancing to watch - not because Carlos and his partner are so flashy and spectacular, but because their dance has a level of focus and precision that the audience understands and appreciates. Note the total lack of kicks. Also, look at all the background dancers, doing their ordinary, work-a-day Tangos. This is followed by current Argentine Tangos as danced to amuse the tourists on the streets of Buenos Aires - admittedly theatrical since they are putting on a show, but still very much what most people today expect to see when they see a Tango - and feel like they're not quite getting it right if they don't dance it this way. 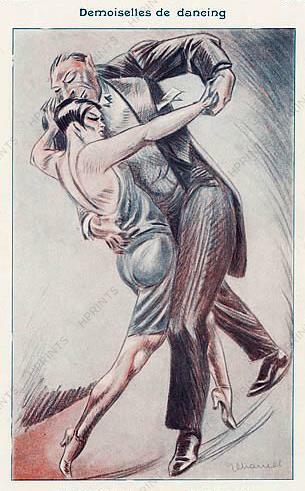 This is then followed by "The Argentine Tango": a 1930s exhibition Tango such as you would see in a night club. It's probably not necessary to watch each of the clips all the way through to get the gist of what I'm talking about. One of the things that fascinates me about the dances of the Jazz Age is how universal and international the "Modern Dance" sensibility was. Pretty much anywhere you were, from New York to London to Berlin to Buenos Aires the dances were very similar. Paris and Vienna had some unique takes on the Waltz, but in Argentina, the close-hold, box-step smooth style found in most of the world was also found there, in the home of the Tango. There is today a style of Waltz popular with the Tango crowd that is essentially a Tango in 3/4 time. That doesn't seem to be what's happening here, though to be fair, the Argentine Tango of 1935 was not quite what you generally see danced today either. Just for contrast, I have also embedded a video of the modern take on the Argentine Waltz. 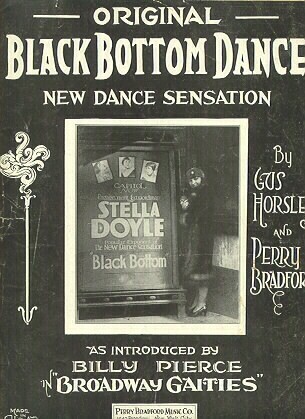 Something called "The Black Bottom" emerged in the dance scene some time around 1926 and and was briefly touted in the media as a competitor to the Charleston. Its origins seem to have been among stage and cabaret performers like Ann Pennington and Stella Doyle. It started as a solo stage dance, and then found it's way into the world of social dancing. I have come to the conclusion that, in practice, the definition of "Black Bottom" was extremely fuzzy. In fact, I would venture to say there was no single definitive Black Bottom, only a constellation of different, competing moves all calling themselves the "Black Bottom". Mostly, it appears that it was supposed to focus more on a simpler, side-to-side two-step motion (said to resemble pulling your feet out of the mud) and lacked the distinctive time step and swizzle step of the Charleston, but it was still a wild, exuberant, mostly improvised dance with solo and partner variants; but in practice, I don't think dancers were worrying much about whether the thing they were doing was one or the other. They did the moves that seemed to work for them. In practice, Charleston was really what ever the dancer decided, at that moment it was, and outside the occasional Charleston contest, no one was worrying about whether something was "correct". The same could be said for the Black Bottom. There were distinct "Black Bottom" songs just as there were distinct "Charleston" songs, and each had a distinctive musical riff. The Black Bottom was what ever a Black Bottom tune told you to do and a Charleston was what ever a Charleston tune told you to do. And indeed I have yet to find THE definitive Black Bottom. There seem to have been a few competitors for that title as evidenced by the frequent use of adjectives like "original", "real" and "true" on recordings, film shorts and sheet music. 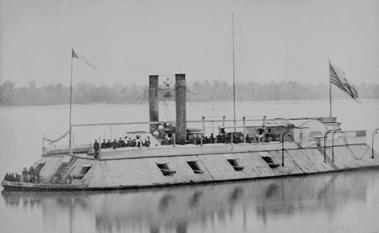 The Black Bottom gained notoriety from stage performances. The name was both funny and a bit naughty, and was bound to appeal to the sensibilities of the Jazz Age. 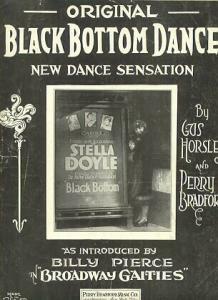 People read about it in the papers, and found recordings and sheet music in the shops, but probably did not see the visual evidence of the films or live performances - so they made something up and called it "Black Bottom". This happened spontaneously in any number of places in America and Europe, leading to a profusion of "Black Bottoms" that bear no resemblance to one another. So, if you feel like dancing the Black Bottom, I would suggest looking at the videos below, picking the steps and moves that appeal to you, and just going with it. These dances are not really about precise adherence to a defined form. The wilder and more improvisational you are, the closer you are to the essence of the dance. 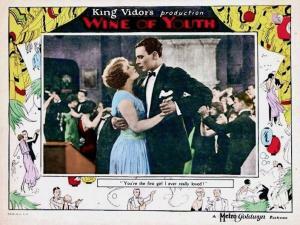 The core of my research into the social dances of the Jazz Age has been old films. In the process, I have assembled a fairly extensive library of film clips, edited down for use in online and in-person instruction. Much of it, due to the perils of copyright and YouTube's draconian policies, I have had to keep off the Internet, but much of it I can share. Here is my online film library. Most of these are already embedded in web pages that address particular dance styles, but here they are for those who wish to focus on the films, unencumbered by my ramblings and random observations.